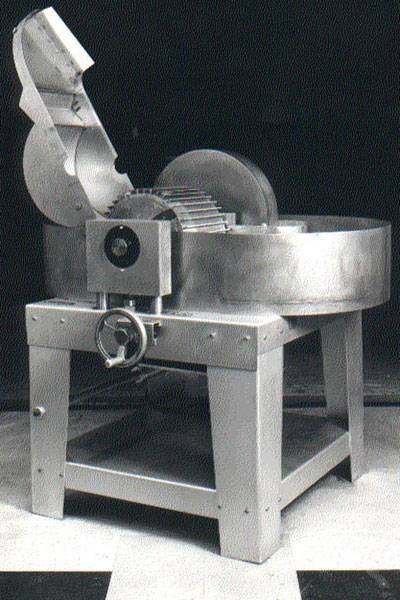 This beater was originally designed and built by us specifically for the laboratory of a major paper company. The 7-lb. Hollander beater is now used in major papermaking facilities throughout the world. For the papermaking studio or school that must produce a lot of pulp, this is a remarkable machine. One can easily beat 7-lbs. of dry pulp in this beater. Its powerful motor and mechanics are such that pulps and fibers beat twice as fast with this beater than with the 2-lb. beater. Stainless steel is used for the tub, bedplate, shaft, cover and bars. The bars are set into a bronze roll. Tub capacity is approximately 50 gallons. Motor is 5 h.p. Includes a magnetic starter and the digital height indicator.